Files are normally supplied to us in Microsoft Word, with a print-out. The print-out is marked with the hierarchy of headings and any special features (e.g. where photographs should go). The manuscript is, if required, proofread and any queries addressed with the author. The Word file is imported into InDesign. This is the program we use to style and design the pages and covers. 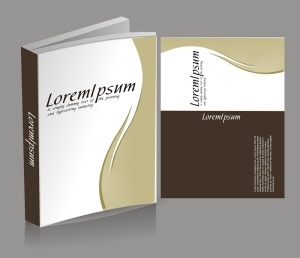 A template file is produced that includes all the different styles and elements to be incorporated in the book. These styles will include: the line length, margins, position of page numbers, fonts to be used in the main text and in headings, use of any running headers or footers. We can also include contents style and picture positioning. These styles are all included in one template file. This ensures design consistency throughout the book. The text from the Word file is flowed, into the template and styled page by page. The first proof set is prepared, printed and checked in-house, and sent to the author. The author checks it page by page and marks any amendments on the proofs. If a professional proofreader is required, we can arrange this. He or she will mark amendments and raise any queries with the author. Once the proofreader£s changes are agreed, YPS collates the author£s copy and the proofreader£s copy, so we work from one set of proofs to make the changes electronically. If a book is all text this is a relatively simple procedure, but if the book is complex with photographs, illustrations, tint boxes and tables, etc., this can be time-consuming and consequently more expensive. We create a PDF file which is checked by the author. Once final approval is given, the file is sent to print. This process is followed is exactly the same way for ebooks. If you are supplying your book to us ready for printing you must format your book exactly as you want it to look, the book must be carefully edited and all the final corrections made. The page size, the margins, the typeface, must all be set in the correct style. Great attention to consistency should be made throughout the book. Ideally the files should be supplied as a pdf. There are a number of standard sizes that you are likely to see on the bookshelf. Book sizes have evolved from the economical use of standard paper sizes. Over the years some of these paper sizes have become unavailable. Not all standard book sizes are economical for every type of paper. The choice is yours, but we will advise you if the size can be changed slightly to make it more economical.